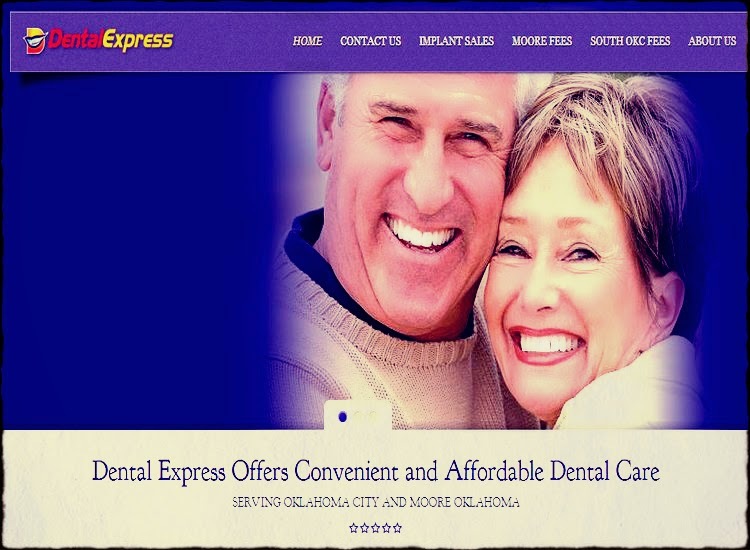 Dental Express was founded by Dr. John Hong and Dr. Jay Peck to provide convenient and affordable dental care to the Oklahoma City metropolitan area. We provide quality care on demand. We can always help you same day. We specialize in patients without insurance. If you don’t have insurance, Dental Express is your dental home for the best value available. Additionally we do accept Soonercare, Healthchoice*, and Delta Dental* insurances? Temporary dentures can be called “interim” or “immediate.” Made after the teeth have been removed and the gum tissue has begun to heal, a conventional denture is ready for placement in the mouth about 8 to 12 weeks after the teeth have been removed. Unlike conventional dentures, immediate dentures are made in advance and can be positioned as soon as the teeth are removed. As a result, the wearer does not have to be without teeth during the healing period. However, bones and gums shrink over time, especially during the healing period following tooth removal. Therefore a disadvantage of immediate dentures compared with conventional dentures is that they require more adjustments to fit properly during the healing process and generally should only be considered a temporary solution until conventional dentures can be made. Whether you’re in Oklahoma City, Moore, Norman or anywhere in the South OKC area we have two convenient locations to serve you. Or visit our new location in Moore.